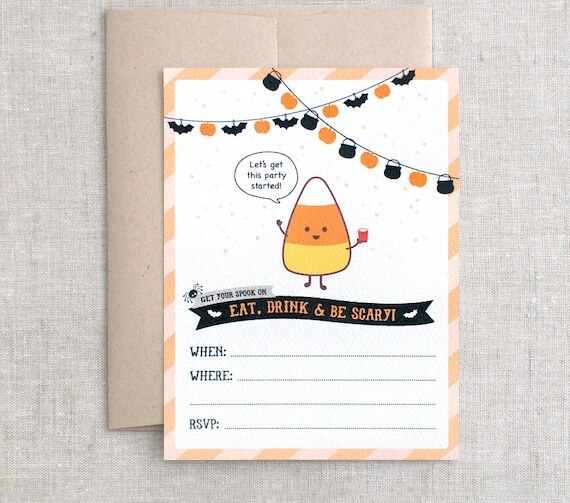 A festive set of handmade kawaii inspired Candy Corn Halloween Invitations (featuring my original artwork) made from 100% post consumer recycled & beautifully textured card stock. Ideal for Halloween parties & birthday celebrations. Features an easy fill-in format. Cute for adults and children alike. Easter Card - Kawaii Egg, it's Easter Time, Hope it's Eggcellent!